Artesians are encouraged to turn out and vote Tuesday, June 7, in New Mexico’s primary election. 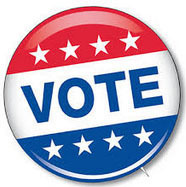 Polls will remain open from 7 a.m. – 7 p.m., and Artesians may choose to cast their ballots at any of four polling sites: Faith Baptist Church, 401 S. 20th St.; the Eddy County Clerk’s Sub-Office early voting room, 602 S. First St.; Central Valley Electric, 1403 N. 13th St.; and Trinity Temple Assembly of God, 1507 W. Hermosa Drive. Only registered Democrats and Republicans will be eligible to vote in the primary, as New Mexico is a closed primary state. Republicans should note their ballot will still include all of the former presidential candidates who have previously dropped out of the race. The only remaining candidate is Donald Trump. Registered Republicans will also effectively be deciding both the District 2 and District 3 races for Eddy County commissioner, as all candidates this year are running as Republicans. District 2 voters will be choosing between incumbent Royce Pearson and challenger Jon Henry, while voters in District 3 will select between incumbent Glenn Collier and challengers Larry Wood and Guy Lutman. Republicans will also be naming the candidate who will represent their party in the race for Eddy County sheriff in November’s election. Republican hopefuls include current undersheriff Mark Cage, Kelly Lowe and John Patterson. Running unopposed on the Republican ballot will be Steve Pearce for U.S. representative, District 2; Nora Espinoza for Secretary of State; Gay Kernan for state senator, District 42; James Townsend for state representative, District 54; Dianna Luce for Fifth Judicial District Attorney; Judith Nakamura for Supreme Court justice; and Stephen French for Court of Appeals judge. Democrats, meanwhile, will see a smaller ballot. Registered Democrats will be the essential determiners of the next Eddy County treasurer, as Frank Barrera and Laurie Pruitt are both running as Democrats. That and the presidential campaign between Hillary Clinton and Bernie Sanders are the only two contested races on the Democratic ballot. Running unopposed for U.S. representative, District 2, is Merrie Lee Soules, along with Maggie Toulouse Oliver, Secretary of State; Trish Ruiz, Public Education Commission, District 9; Michael Vigil, Supreme Court justice; Julie Vargas, Court of Appeals judge; and Ruben Castro Sr., Eddy County sheriff.